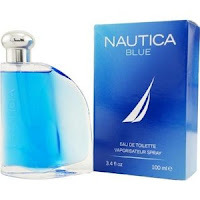 3.4oz Nautica Blue For Men Eau de Toilette Spray: $15.43 w/ Free Shipping, Regularly $55.00! Right now at Amazon, you can get a 3.4oz Nautica Blue for men Eau de Toilette spray for only $15.43 with free shipping. This is a great deal! I did a little price checking and this regularly costs $55, and the 1.7oz costs $24 at Walmart, and the same thing costs $46.99 at Target! This is by far the cheapest one I could find on a number of sites. NOTE: You may have to look on Amazon's right sidebar for the store Beauty Storage to get this price. For more great Amazon deals, click here!